Vue Weekly released the 2018 Best of Edmonton last week, its annual survey of local favorites as voted on by readers. The feature includes two sections on local media. Finalists for the 2018 Canadian Online Publishing Awards were released last week. Taproot Edmonton was nominated for Best Interactive/Infographic Story for our 2017 Municipal Election Microsite. The Edmonton Journal’s Paula Simons was nominated for Best Blog Column/Video. Here are some of the other local nominees. Vintage Edmonton has found CJCA 930 AM’s broadcast bulletins from July 31, 1987 when they broke into regular programming to warn about what became the Black Friday tornado. Craig Newmark is providing $20 million to The Markup, a new site led by two former ProPublica journalists dedicated to investigating technology and its effect on society. The Markup is based in New York and will start publishing next year. The City has installed pedestrian scrambles at 104 Street & Jasper Avenue and at 105 Street & 82 Avenue as part of a year-long pilot project. “Pedestrians can cross the intersection in every direction, including diagonally, at the same time while all vehicles are stopped temporarily.” Here’s a cool photo of the 104 Street intersection. City Council accepted Westrich Pacific’s modifications to its tower known as “The View” and approved the project for two small lots in the Grandin area of Oliver. When cannabis is legal in October you’ll be able to smoke it outside – as long as you’re at least 10 metres away from doors or windows. The City has unveiled four concepts for future redevelopment of the Exhibition Lands. Fill out the online survey by September 30 to share your feedback. The City is looking for its next Indigenous Artist-in-Residence. “The program is open to Indigenous artists of various mediums, including, but not limited to, music, performance, visual and material art, as well as media and literary arts.” The deadline to apply is October 19. December 4, 2018: that’s the new deadline for Thales to get the signalling system working for the Metro Line LRT. Council is off this week, so the latest Council Roundup has a recap of recent decisions. Also, check out episode 7 of Speaking Municipally for a discussion about the news in municipal politics from last week. ICYMI: I participated in a Facebook Live engagement session on the new City Plan. You can see the recording here. Check out one of the drop-in engagement sessions to share your thoughts. Mayor Iveson and Georgetown Mayor Dale Ross are speaking on Monday about “the importance of renewable energy in meeting economic, social and climate change goals” at The Road to 100% Renewables. The Gotta Minute Film Festival starts Monday and runs through September 30. Roundhouse is celebrating Changemaker Week all week long with a series of free events. The University of Alberta’s Alumni Awards 2018 will be celebrated at the Jubilee on Monday evening. MacEwan’s Office of Sustainability has organized an Urban Beekeeping Bike Tour for Wednesday evening. interVivos is hosting a Mentorship Mixer on Wednesday evening at The Almanac. The Friends of the Royal Alberta Museum Society (FRAMS) is hosting a field trip to the Aga Khan Garden on Wednesday evening. Edmonton Shift Lab is hosting How to Have Difficult Conversations About Race on Thursday at the hotel in the Quarters (formerly called Hyatt Place). This year’s Play the Fool Festival, “Edmonton’s festival of clown-theatre and physical comedy,” runs Thursday to Sunday. OtherWise is a new variety podcast and they’re hosting a launch party on Friday night. Alberta Culture Days are being celebrated Friday to Sunday. There are still a few listings left on Taproot Edmonton’s 2018 guide to summer festivals and events! It includes 75+ happenings this summer in and around the city. Stay tuned for our winter guide later this year! Desh Punjab Radio is “a private radio station that has been serving Edmonton’s South Asian community for more than 40 years.” CBC Edmonton spent the week in Mill Woods and spoke to Kulmit Sangha, one of the station’s founders, about its origins and future. Shaye Ganam celebrated 20 years with Global Edmonton last week. He started when it was still called ITV! Here is the latest Alberta Podcast Network Roundup. The newest members in the network include The 4th Line WHL Cast and Putting It Together. We launched the Health Innovation Roundup, sponsored by Health City, last week. The roundup is being curated and written by Catherine Griwkowsky. Watch for a new edition every Wednesday! Naomi Klein has been named the inaugural Gloria Steinem Endowed Chair in Media, Culture and Feminist Studies at Rutgers University-New Brunswick. Salesforce founder Marc Benioff is buying Time Magazine for $190 million. Streaming services Netflix, Amazon, and Hulu combined for a total of 35 wins at the Emmy’s tonight, and Netflix tied HBO for the most with 23 awards. The new Royal Alberta Museum finally has an opening date: October 3, 2018. 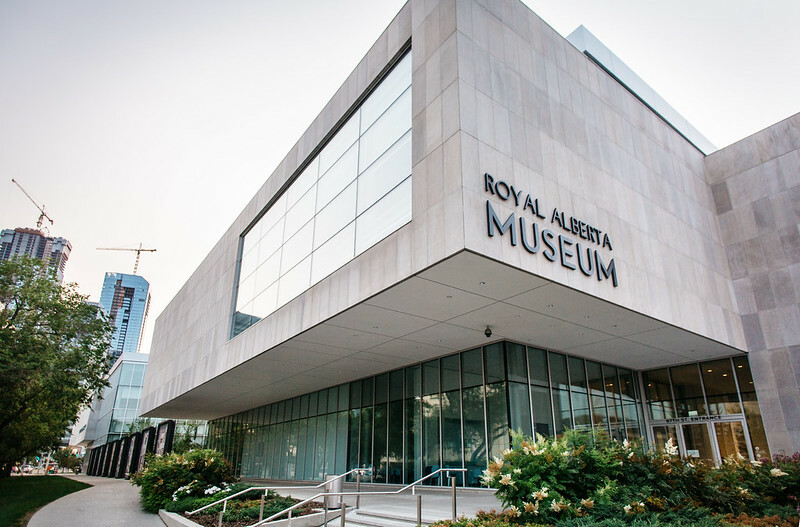 “To celebrate the grand opening and to welcome Albertans back to their provincial museum, admission is free throughout the long weekend, from Oct. 3 to Oct. 8.” After the first 21,500 tickets were snapped up within six hours, the museum made another 8,000 tickets available on Saturday. 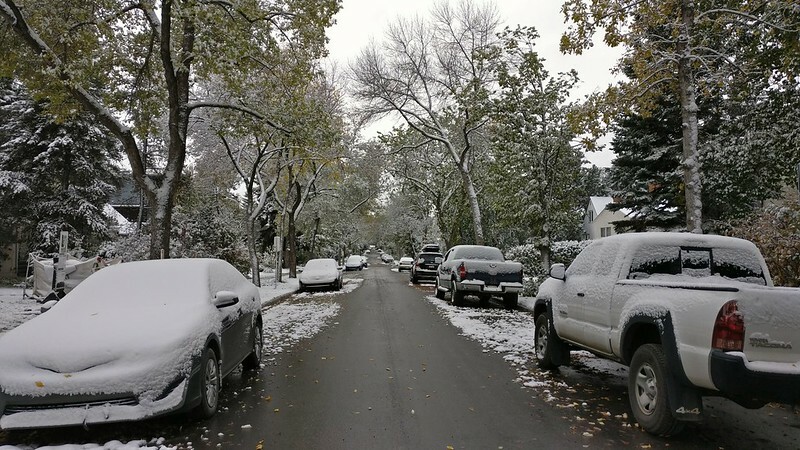 We had our first frost and snowfall of the season this past week, about two weeks earlier than average, according to Edmonton Weather Nerdery. “Realistically though, lasting snow is still at least a month away, and probably more.” I sure hope that’s the case! Environment Canada says the cool, wet weather is not going away this week. The weather wasn’t great but the grand opening of Queen Elizabeth Park and Edmonton’s first Indigenous Arts Park ᐄᓃᐤ (ÎNÎW) River Lot 11∞ went ahead as planned on Saturday. 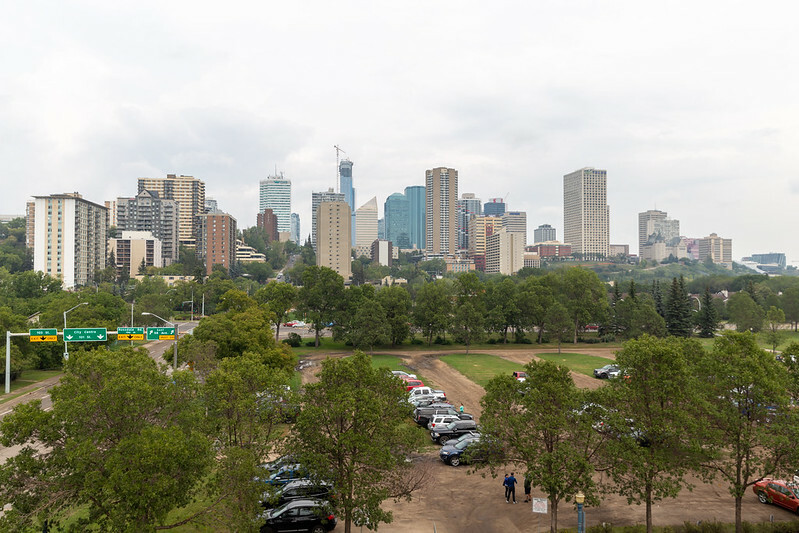 “ᐄᓃᐤ (ÎNÎW) River Lot 11∞ is an important landmark in our river valley that will help Edmontonians understand and appreciate the history of this land,” said Mayor Don Iveson. Check out Episode 6 of Speaking Municipally for a discussion about the 5-point budget plan that Mayor Don Iveson unveiled this week. “I have heard loud and clear from Edmontonians – and the business community in particular – that they no longer want to see tax increases that are out of step with inflation or the pace of growth,” he wrote. A new report says Thales Canada Inc., the signalling contractor for the Metro Line LRT, has set December 4, 2018 as its new deadline. If they fail to meet that date, the City is working on a Plan C.
The City was forced to shut off four LED display boards that showed noise levels in decibels in the vehicle noise monitoring pilot “after complaints that some drivers were revving their engines to see their numbers spike.” Ugh. Let’s just start ticketing noisy vehicles already! The University of Alberta will restrict cannabis smoking to specific locations on campus, and residence buildings won’t be among them. Meanwhile in Old Strathcona, the OSBA is looking for more time to allow bars and eateries to ease into the new rules for cannabis smoking. The City is looking for input on the plan to transform Yellowhead Trail into a freeway. Share your thoughts by November. 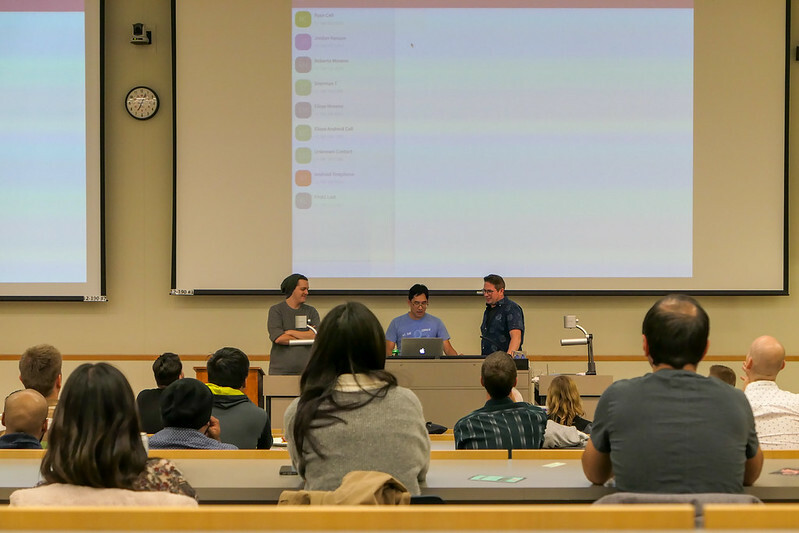 Edmonton’s NextGen is looking for new committee members and is accepting applications for the next Pecha Kucha Night. ICYMI: I wrote about Edmonton Global’s launch and what it means for the Edmonton Metro Region. Here’s what you need to know about the week ahead at City Hall. Head over to the Bellevue Community Hall on Tuesday evening for the Edmonton Exhibition Lands concept review. The Edmonton Public Library and Edmonton Community Foundation are hosting Arlene Dickinson for Lessons from the Den at the Edmonton Inn Kingsway on Wednesday evening. FEASTival of Fine Chefs takes place Wednesday evening at the Shaw Conference Centre. The United Way is kicking off its 2018 campaign on Thursday morning at the Shaw Conference Centre. Homeward Trust is hosting a research symposium on influencing policy and affecting practice on Thursday at the Lister Conference Centre at the University of Alberta. The Edmonton Oilers will play their first home pre-season game on Thursday against the Winnipeg Jets. The 6th annual Edmonton Burlesque Festival runs Thursday to Saturday at La Cité Francophone. AIMCo’s Phyllis Clark and CWB’s Carolyn Graham are among the panelists slated for the Edmonton Women in Finance event Female Leaders in Finance taking place on Friday afternoon at AIMCo’s office on 108 Street & Jasper Avenue. The Edmonton Comic & Entertainment Expo runs Friday to Sunday at the Edmonton EXPO Centre. The 2018 Mid-Autumn Festival is being held on Saturday at Kinistinâw Park. Keith Urban is performing at Rogers Place on Saturday night. interVivos is hosting a Mentorship Mixer on Wednesday, September 26 at The Almanac. Edmonton Shift Lab is hosting How to Have Difficult Conversations About Race on Thursday, September 27 at the hotel in the Quarters (formerly called Hyatt Place). There are still a few weeks of listings left on Taproot Edmonton’s 2018 guide to summer festivals and events! It includes 75+ happenings this summer in and around the city. 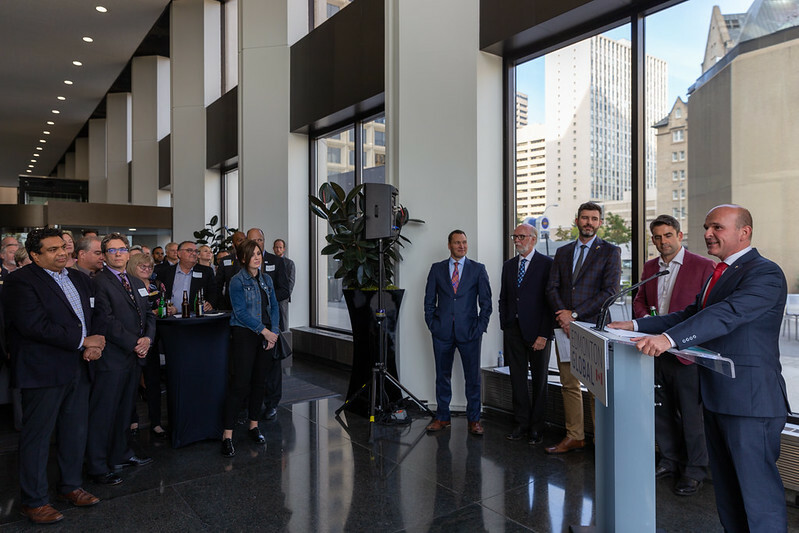 Last week Edmonton Global held a launch event outside its offices on the main floor of TELUS House. 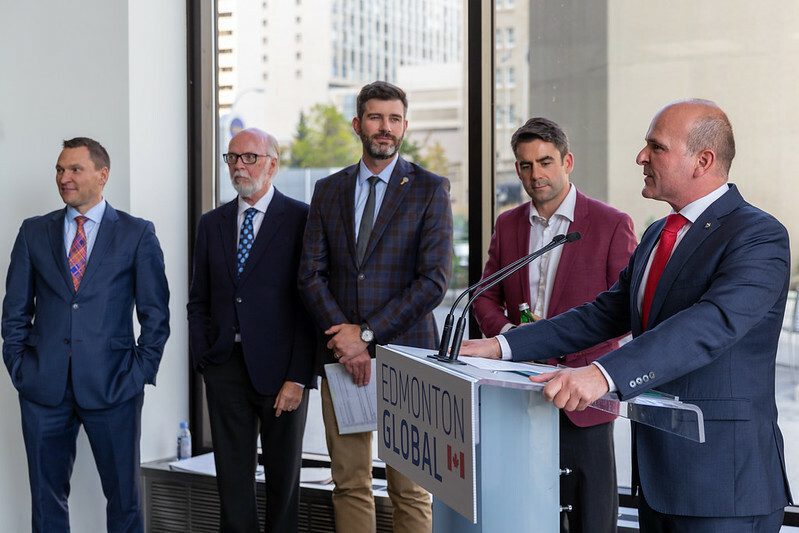 The event was emceed by Randy Boissonnault, MP for Edmonton Centre, who talked about the Edmonton region being a great place to work, live, and invest. The other speakers included Deron Bilous, Minister of Economic Development and Trade, Mayor Don Iveson, Edmonton Global Board Chair John Day, and Stantec’s Simon O’Byrne. 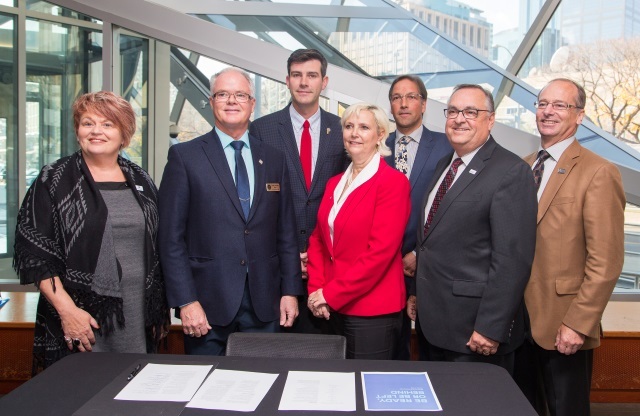 In September 2015, the mayors of nine municipalities in the region (Edmonton, Strathcona County, St. Albert, the City of Leduc, Fort Saskatchewan, Spruce Grove, Sturgeon County, Parkland County, and Leduc County) announced the Metro Mayors Alliance. Together, they represented 95% of the region’s population, 96% of its assessment base, and 80% of its land base. They contributed a total of $600,000 to conduct a study on how to make sure the Edmonton region is globally competitive. This was done at a time when the Capital Region Board (CRB), created in 2008, was still an unwieldy 24 members. It wasn’t until October 2017 that the CRB became the Edmonton Metropolitan Region Board (EMRB) and reduced its size to 13 members. Develop a collaborative, focused economic development strategy for the Edmonton Metro Region. Create a new inter-municipal mass transit entity in order to plan and deliver the smooth flow of people and goods between communities and across the region. Establish a mechanism with the capacity and authority to integrate and act on Metro Region land use plans and infrastructure development. A few months earlier, in March 2016, the Capital Region Board had passed a motion to “incubate a formal regional economic development model, which would be independent of the CRB.” So when the Metro Advisory Panel’s report came out, there was a lot of overlap. The CRB pushed ahead with the new entity, adopting some aspects of the report along the way, and established an interim board of directors in February 2017, and followed that up with articles of association in April 2017. The City of Edmonton signed on to the entity the following month. Though all 24 members of the CRB were invited to join the new entity, just 15 signed on (the 13 members of what would become EMRB, plus Bon Accord and Gibbons). The interim board phased out its work over the next month and the new organization was incorporated on June 9, 2017 as the “Edmonton Metropolitan Region Economic Development Company” now known as Edmonton Global, “the first fully regional economic development company for the Edmonton Metropolitan Region.” In September 2017, the inaugural Edmonton Global board of directors was announced, with John Day selected as board chair. They met for the first time a few days later and announced a target of July 1, 2018 to be fully operational. In November 2017, Mayor Stuart Houston of Spruce Grove was named Chair of the Shareholders Group and Mayor Gale Katchur of Fort Saskatchewan was named Vice Chair. In April 2018, the organization announced that Malcolm Bruce would serve as CEO on a full-time basis starting July 1, 2018. He had been serving as interim CEO since the organization was formed, and was the CEO of the Edmonton Metropolitan Region Board since January 2015. And that brings us to September 6, when the official launch event for Edmonton Global was held. In 2016, I wondered who was responsible for the Edmonton metro region. While there’s still a lot of overlap and jockeying for position going on, it seems that EMRB will be responsible for long-term planning while Edmonton Global will be responsible for economic development. In an interview in May 2018, Malcolm Bruce said “when we hunt as a pack on the world stage, we offer a far more compelling package to investors.” Still to come is that new regional transit authority. Serve as a catalyst for investment and job attraction and retention for the Edmonton Metropolitan Region. Be the voice of the Edmonton Metropolitan Region’s economic development activities. Leverage partnerships to enhance Edmonton Global’s success. The organization started with a budget of $1 million 2017 which grew to $3 million this year and will expand further to $5 million in 2019. Over the next six months or so, Edmonton Global anticipates adding up to 20 staff. The City of Edmonton contributed $330,000 to Edmonton Global in 2017, which came out of the Corporate Expenditures Management Initiatives budget. This year it contributed $668,000, which came out of the EEDC budget. Next year the City will contribute $1.346 million, but the funding source is yet to be determined. Each shareholder contributes funds based on a formula tied to its population and assessment base, which means the City of Edmonton is funding about 75% of the organization’s total budget. That work is still ongoing. I asked EEDC CEO Derek Hudson about it last month just after he was named to the role. “I don’t see us stepping back in much of the work we do,” he told me. He pointed out that capacity-wise, there’s no comparison. EEDC has a budget of nearly $50 million and more than 200 employees, so it simply has a greater ability than Edmonton Global to get things done. That said, he sees a need to work together, and told me the boards of the two organizations have a subcommittee to sort through it all. “One of the things that is critical is what’s the experience of someone coming from outside,” he said. “Ideally an investor from Asia gets a coherent experience from the time they first hear about the Edmonton metro region to when they participate in an investment,” no matter where in the region it is. I’m excited to announce that Taproot Edmonton is launching a new roundup this week! 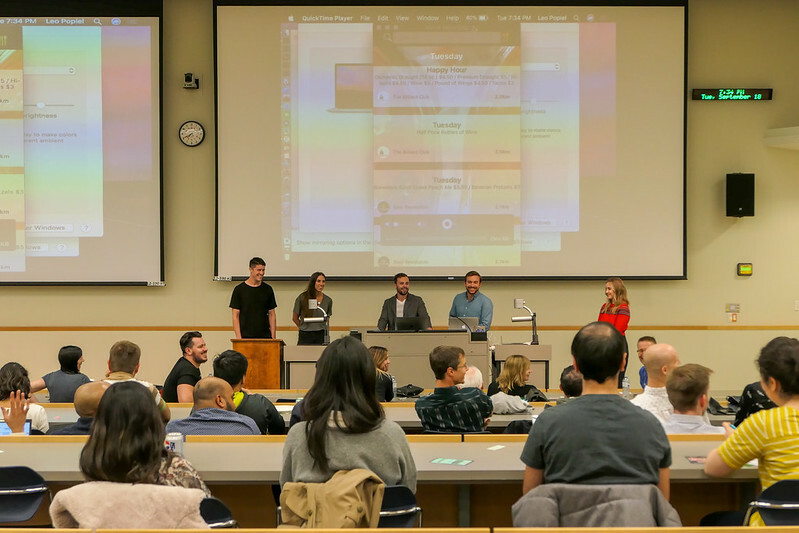 The Health Innovation Roundup, powered by Health City will come out every Wednesday to chronicle Edmonton’s health innovation sector. The roundup is being curated and written by Catherine Griwkowsky. You can sign up here to get it delivered by email. For the third straight ratings period, 102.3 NOW! Radio (CKNO) has found itself on top in Edmonton. Numeris reports an 11% share for the station for the May 28 – August 26 period. CISN Country 103.9 FM was named Radio Station of the Year (Large Market) at the Canadian Country Music Awards over the weekend. Terri Clark and Jackie Rae Greening were inducted into the Canadian Country Music Hall of Fame. Marty Forbes has an overview of “some of the activity going on in town” as local media ramps up for ratings season. “Longtime Bear morning co host Gillian Foote has moved up the dial and across the hall to sister station 104.9 Virgin Radio where she is holding down middays 10a-2p Monday-Friday,” he wrote. What does it mean to be “off the record”? The Atlantic tackles the topic through an exchange between BuzzFeed and Elon Musk. Hoodline, a local news startup based in San Francisco that “has built a platform to ingest and analyse hundreds of terabytes of data to find and then write local news stories”, just raised $10 million to go nationwide. Here’s what works (and doesn’t) for advertising your news organization’s subscriptions. The City of Edmonton has been named 2018 Organization of the Year at the International Association for Public Participation of Canada (IAP2 Canada) Core Values Awards Gala. “This is IAP2 Canada’s top honour, recognizing organizations and projects that give people a say in decisions that affect them and tell them how their input will be used in decision-making.” I’m proud to have played a small part! Edmonton is now in the running for the international IAP2 Organization of the Year award. City Council approved the hiring of Edmonton’s first Integrity Commissioner and Ethics Advisor. Jamie Pytel will be the City’s first Integrity Commissioner. Brent Rathgeber, a former Member of Parliament and Member of the Legislative Assembly of Alberta, will be the City’s first Ethics Advisor. The new trails around the Walterdale Bridge officially opened on Thursday night, nearly a year after the bridge itself went into service. Contractors are facing up to $13 million in late penalties as the bridge was supposed to open in June 2015. While initially tight-lipped on the fines, Council now may be willing to share details. According to new figures from Avison Young, downtown Edmonton’s office vacancy rate dropped to 12.5% at the end of June, down from 15.3% in 2017. The funicular was closed on Thursday and Friday so crews could replace glass damaged by vandalism. The cost? $47,000! Rob Yager has been appointed President and CEO of the United Way of the Alberta Capital Region. He takes over for Anne Smith, who spent more than 30 years in the role. Here’s what you need to know about the discussions coming up at City Council this week. A big topic of discussion is smart transportation, which includes electric vehicles. According to new figures from Alberta Health, 355 people died from apparent accidental opioid overdoses in the first six months of 2018. The next Pecha Kucha Night is coming up on October 25. You can now apply to present. The third annual Bridge of Life awareness event, organized by the Edmonton Mental Health Awareness Committee, starts at 7:30pm at Constable Ezio Faraone Park. The next Instagrammable Walls Photo Walk is taking place on Wednesday evening. Meet at the Happy Wall in Churchill Square at 6pm. Sam Smith is performing at Rogers Place on Wednesday evening. Homestead Coworking is hosting a social networking night on Thursday evening. The Edmonton Permaculture Guild is hosting Permaculture Pub Night: Preserving the Harvest on Thursday evening at Yellowhead Brewery. The Kaleido Family Arts Festival runs Friday to Sunday on Alberta Avenue. The Edmonton Public School Board is hosting a volunteer appreciation screening of the film Won’t you be my neighbour? on Saturday afternoon at the Garneau Theatre. Saturday is Community League Day around Edmonton. DECL is celebrating with its annual CornFest. The grand opening of ᐄᓃᐤ (ÎNÎW) River Lot 11∞, the Indigenous Art Park within Queen Elizabeth Park, takes place Saturday from 12-4pm. Celebrate the 40th anniversary of the Edmonton Oilers at Fan Day on Saturday at Rogers Place. The Autism Speaks Canada Walk takes place Sunday at Rundle Park. The Ovarian Cancer Canada Walk of Hope takes place Sunday at Kinsmen Park. Taproot Edmonton’s latest Media Roundup was published today. Sign up here to get it delivered to your inbox every Monday morning! Friday, August 31 marked the end of Gordon Kent’s reporting days at the Edmonton Journal. “After 32 years, I’m retiring to travel, maybe look for contract work and mostly find the three hobbies my wife requires to keep me out of her hair,” he tweeted. Graham Thomson shared his farewell column on Friday. Friday was also Shawna Randolph’s last day on Alberta Primetime. Here’s her message to viewers. 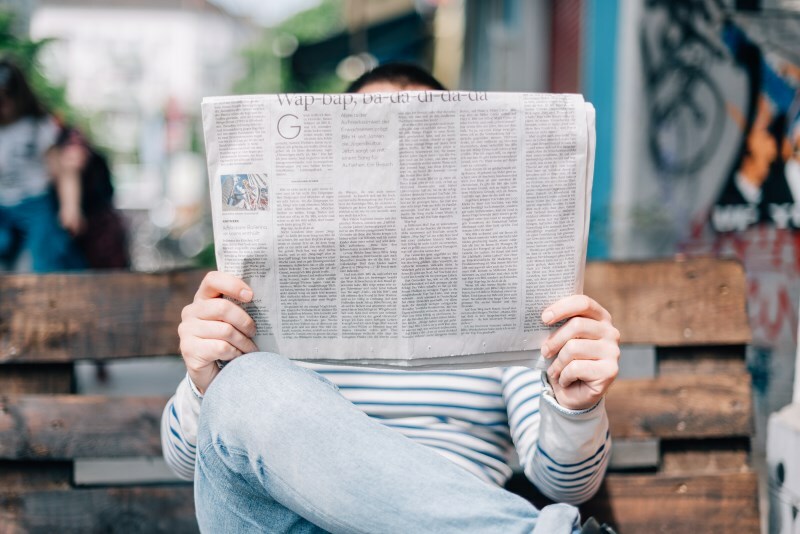 “The problem for governments is, when they make an announcement, social media turns it into a big debate.” Grant Ainsley tackles why politicians still need the news media. From The Atlantic: Trump Has Changed How Teens View the News. “When the reading brain skims texts, we don’t have time to grasp complexity, to understand another’s feelings or to perceive beauty. We need a new literacy for the digital age.” Maryanne Wolf writing in the Guardian says skim reading is the new normal. Here is the New York Times film critic A.O. Scott on the use of technology for reviewing movies. Hangar 11 has been saved – for now. Council voted to maintain the facility while additional study for both use and partner funding is underway. Council has decided against turning Accidental Beach or another of five proposed locations into permanent urban beaches. At up to $1.3 million per location, the cost was just too high. Swoop announced it is adding direct service four times weekly between Edmonton and Winnipeg starting October 11. “This is a welcome addition to our western base of Edmonton,” said Steven Greenway, President of Swoop. Karen Wichuk, who was most recently the first Executive Lead for Health City, has been appointed CEO of the Edmonton Metropolitan Region Board (EMRB) effective November 1, 2018. A development group “comprised of Limak Investments and Urban Capital, working with Dialog Design and Lemaymichaud Architecture” is looking to build a 33-storey building (combo hotel and residential) on 104 Street where the Blue Plate Diner currently exists. The Fringe wrapped up last weekend with a record 133,276 tickets sold. Check out Taproot’s Fringe Roundup Review for more on the numbers and Fringe ‘O’ Saurus Rex. The City will “increase flexibility and cut red tape around funding for neighbourhood playgrounds, community gardens, tennis courts and other amenities,” reports Elise Stolte. Here are 20 questions with new EEDC CEO Derek Hudson. EdmontonCommercial.com argues that the Trans Mountain pipeline issue, minimum wage increases, rising interest rates, and increasing municipal taxes all make Edmonton’s economic recovery challenging. Dr. Kristopher Wells has joined MacEwan University’s Faculty of Health and Community Studies. The City of Edmonton Youth Council is accepting applications for Edmonton’s next Youth Poet Laureate. The deadline to apply is October 1, and the term runs November 1, 2018 to August 31, 2019. Nominations are now being accepted for the City of Edmonton’s Salute to Excellence Citation and Performance Awards. The deadline for nominations is September 14. The awards ceremony will be held at City Hall on November 26. 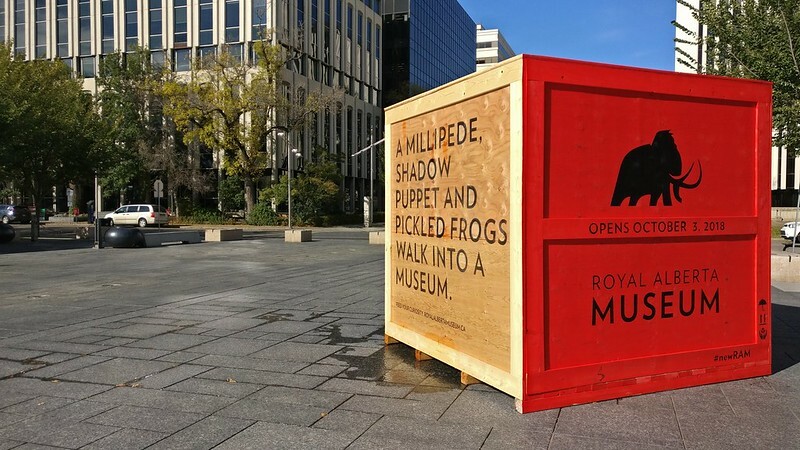 Nuit Blanche returns to Edmonton on September 29 featuring “huge-scale interactive exhibits from across the country and 75,000 art-lovers spanning the entire downtown core.” The organizers are looking for volunteers to help with the event. For the second year in a row an Edmonton woman has been crowned Miss Wheelchair Canada. Bean Gill won the pageant in Vancouver. Check out the latest editions of the Tech Roundup and the Music Roundup for all the local headlines and happenings in those industries. Coming up at City Council this week: a deep dive on financials with big mid-year updates on the Operating and Capital budgets. Also, check out the latest episode of Speaking Municipally for a discussion about Accidental Beach and Hangar 11. The Local Good presents Green Drinks: YEG Climate on Wednesday evening at Yellowhead Brewery. Edmonton Global is opening its new office on Thursday from 4-7pm. Rapid Fire Theatre will launch its 2018/2019 season with a party on Thursday night at Zeidler Hall inside the Citadel Theatre. Thursday is your last chance to see the Museum of the Moon feature pyramid at the Muttart Conservatory. The Alberta North chapter of Graphic Designers of Canada (GDC) is hosting an end of summer block party at the new Timbre CoWork space at 5420 82 Avenue NW on Friday. K.O. Boxing’s next event takes place Friday evening at the Shaw Conference Centre. Bike Edmonton is hosting a launch party & fundraiser at Dirtbag Cafe on Saturday evening. 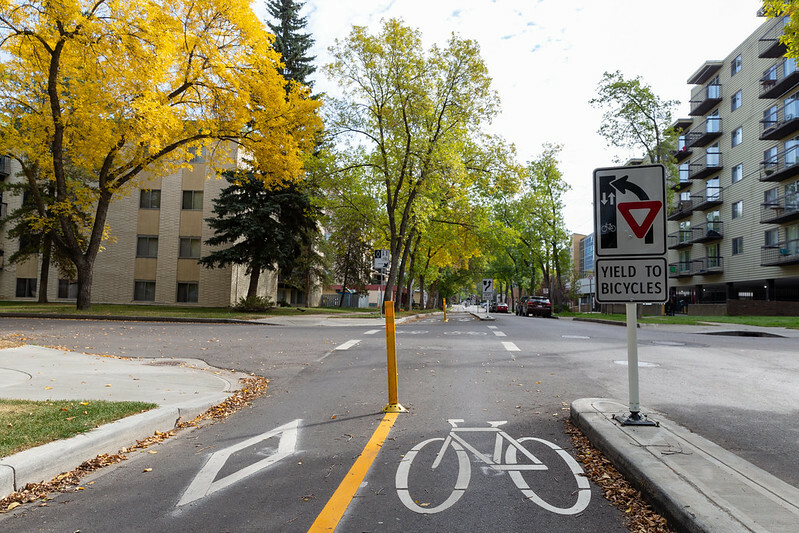 In case you hadn’t heard: the Edmonton Bicycle Commuters Society is rebranding as Bike Edmonton. The Eskimos host the Stampeders on Saturday at 5pm at Commonwealth Stadium. The City of Edmonton is celebrating Commonwealth Stadium’s 40th anniversary with an after party. The Strathearn Art Walk takes place on Saturday! Also taking place Saturday is the Blue Quill Party in the Park. Don’t forget that Community League Day is coming up on September 15.